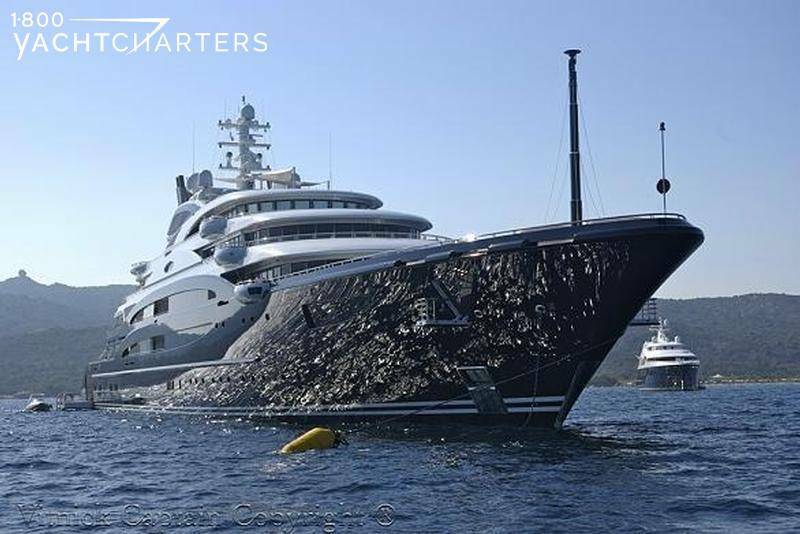 The first superyacht built by Italy’s Fincantieri shipyard, motor yacht SERENE was delivered in 2011 to her owner in La Spezia and immediately entered the Mediterranean yacht charter marketplace. 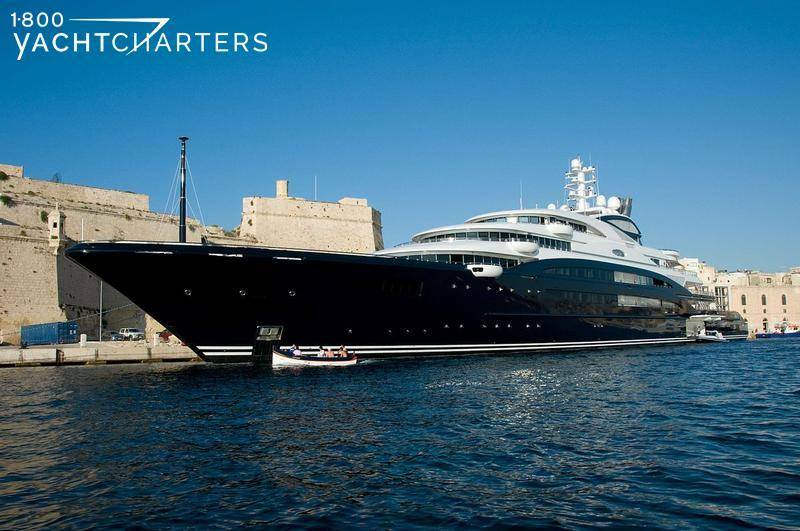 At 134 meters long, super yacht SERENE is the largest luxury yacht charter vessel in the world, and is one of the ten largest yachts in existence. 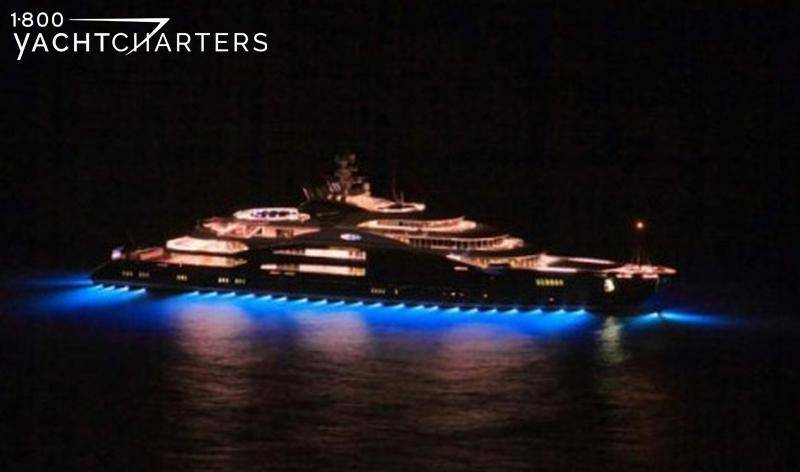 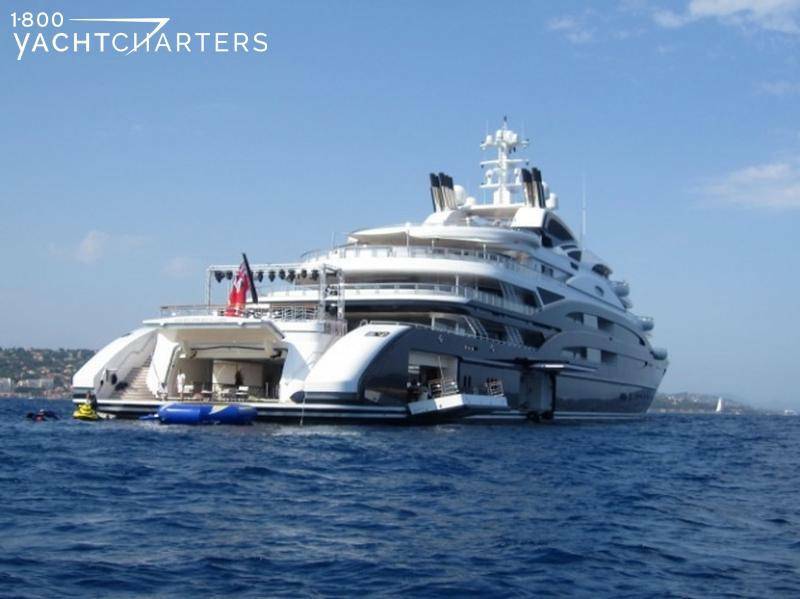 She was also the largest yacht launched in 2011. 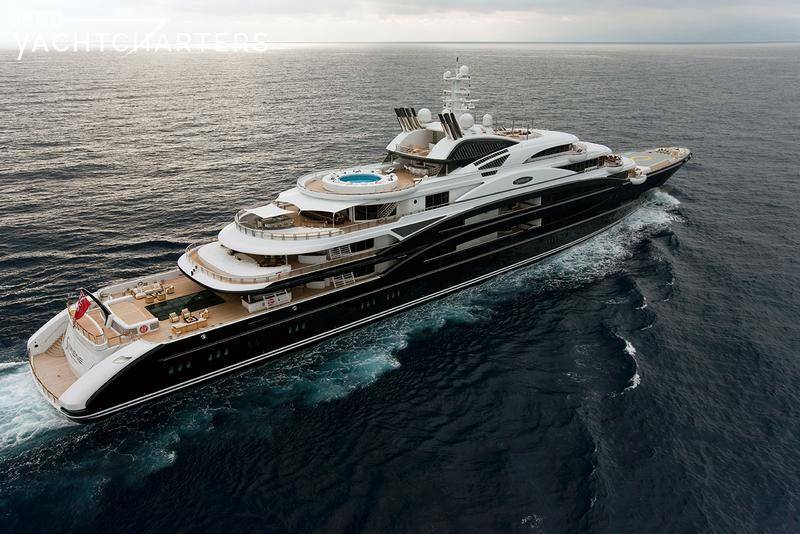 More importantly, she is one of the finest in terms of sophistication and technology. 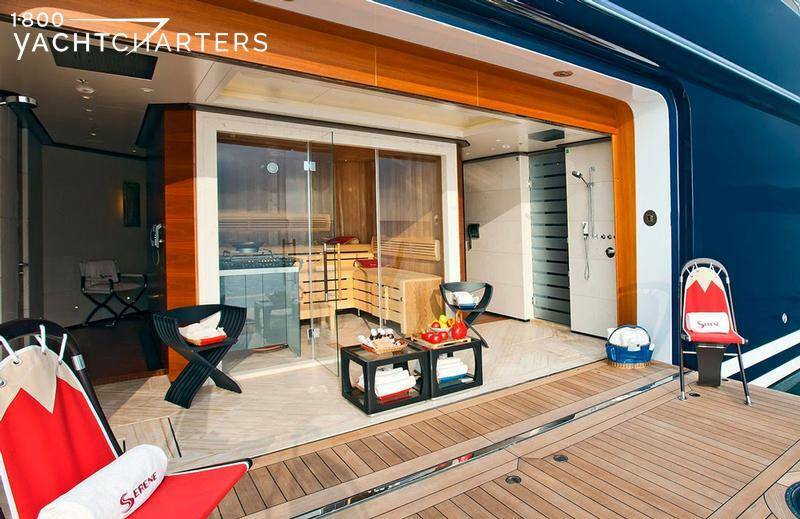 The elegant motor yacht SERENE boasts exterior design and engineering by Espen Oeino and his naval architecture team. 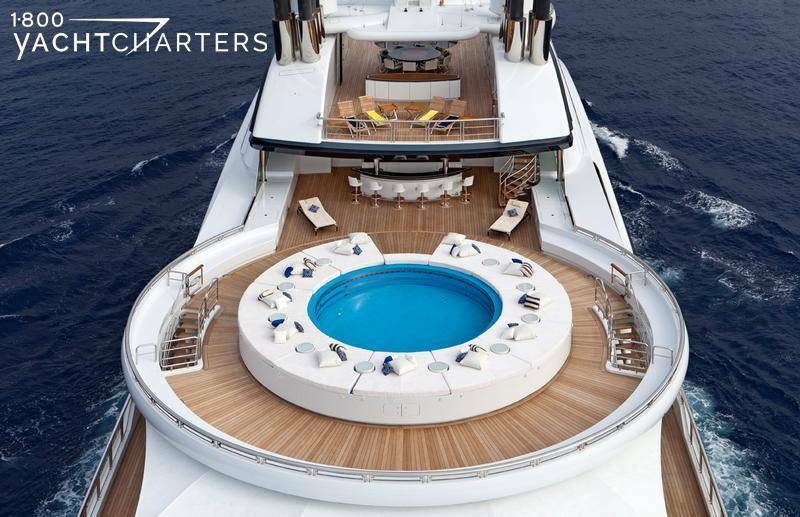 The vessel features interior styling by Reymond Langton Design. 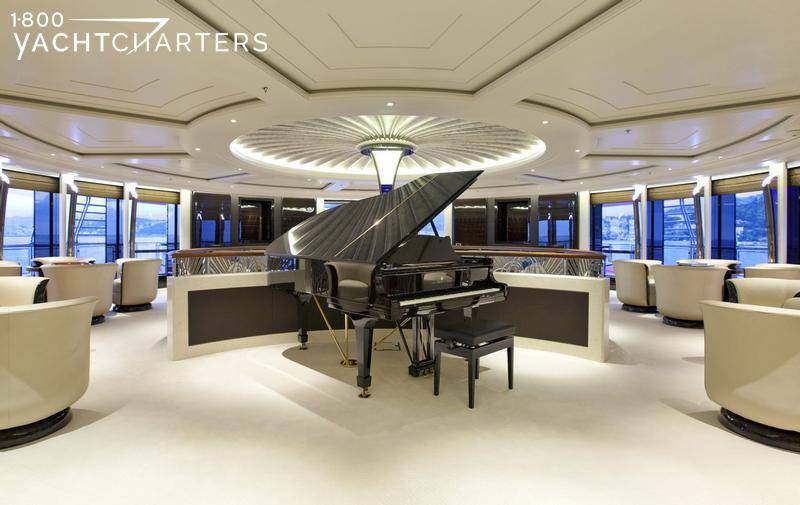 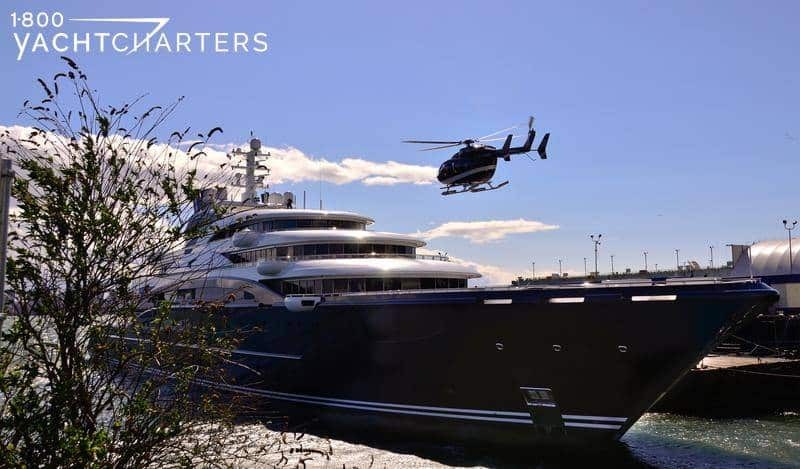 Designed in accordance with the maximum class of international safety regulations for charter passenger transport, the yacht features seven decks, a hangar and two helicopter landing pads. 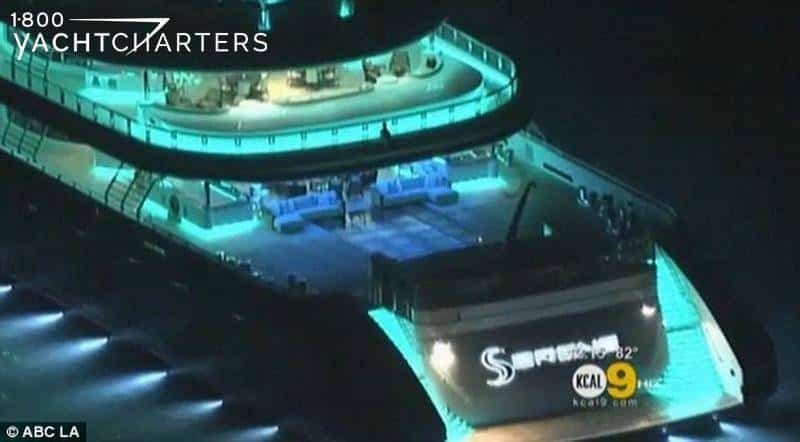 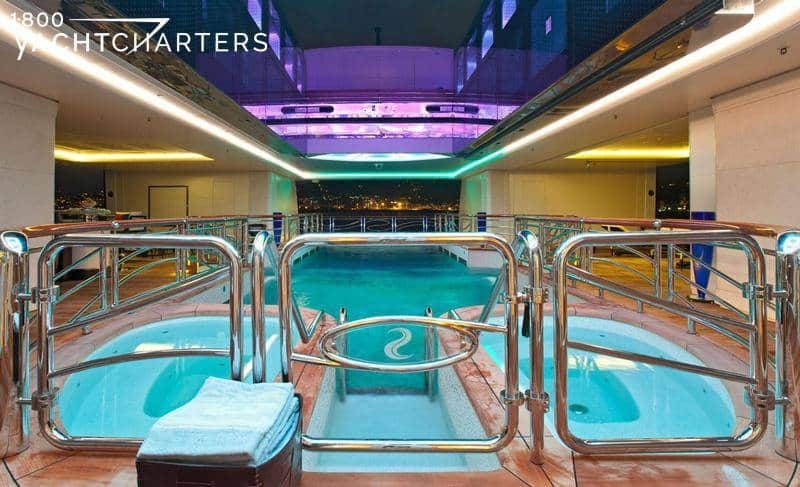 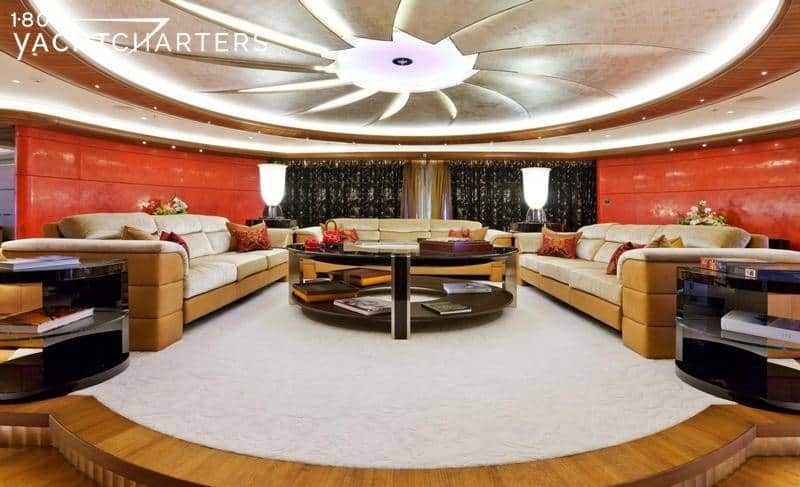 Other unique amenities include an indoor seawater swimming pool, hot and cold Jacuzzi, plus a jet stream swimming pool on the sundeck, and a submarine. 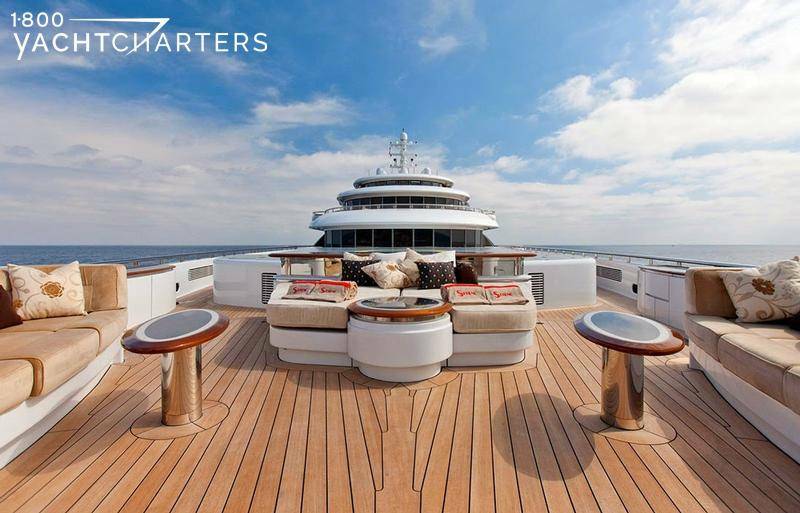 Impressive for her sheer size and volume, her space has been utilized in a such a way that passengers never feel dwarfed or lost. 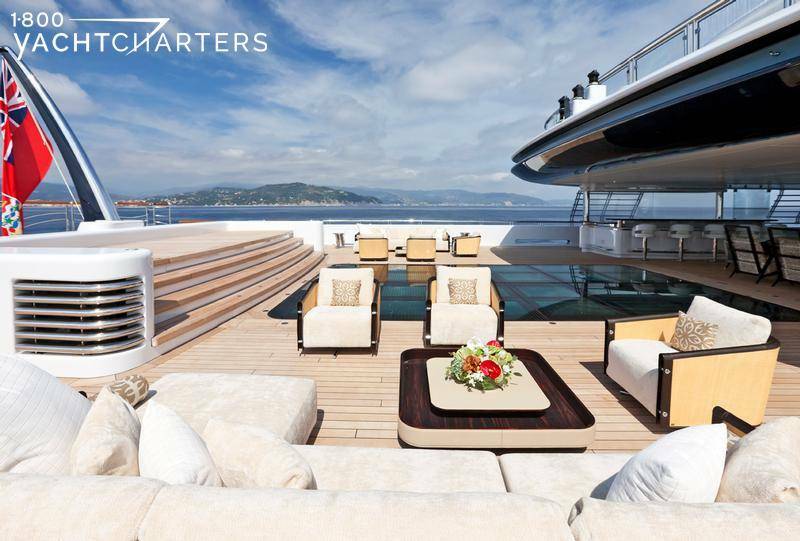 Superyacht Serene charters in Monaco, Croatia, Italy, Spain, France, Malta, Fiji, Greece, and the entire South Pacific. 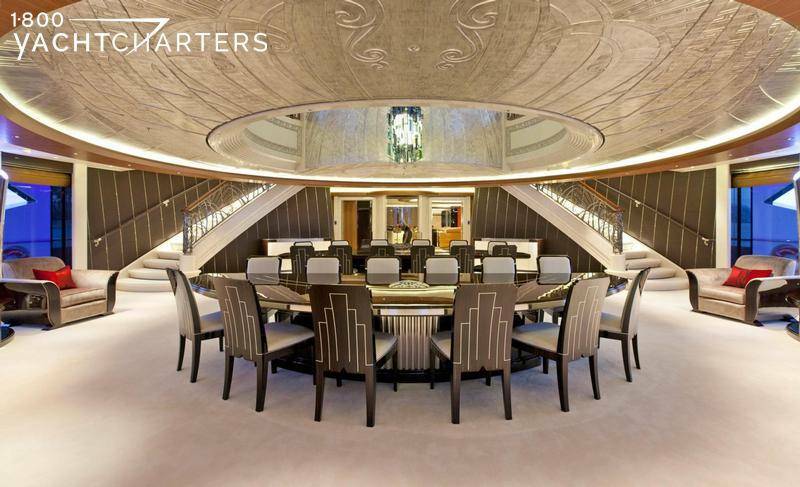 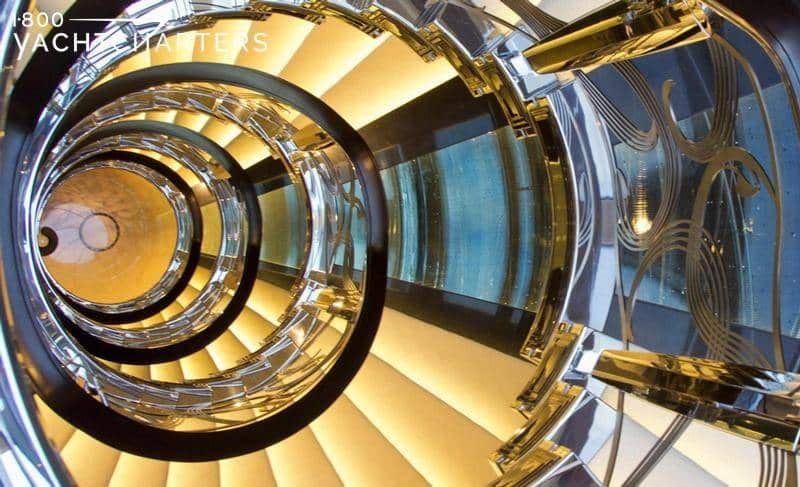 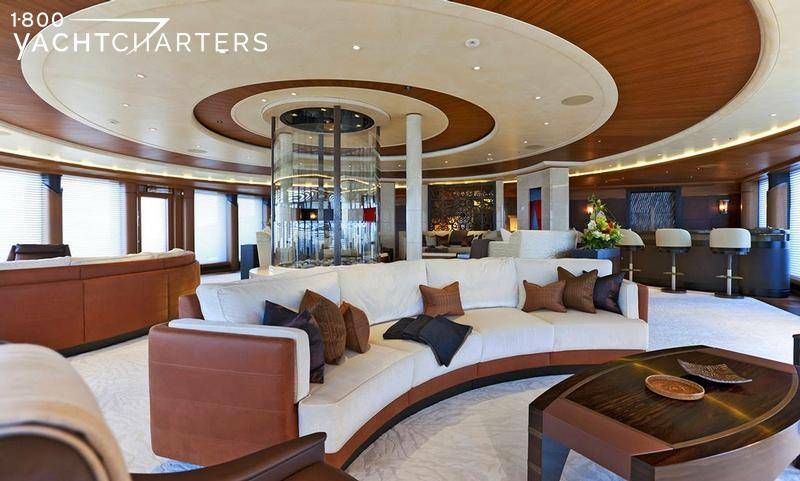 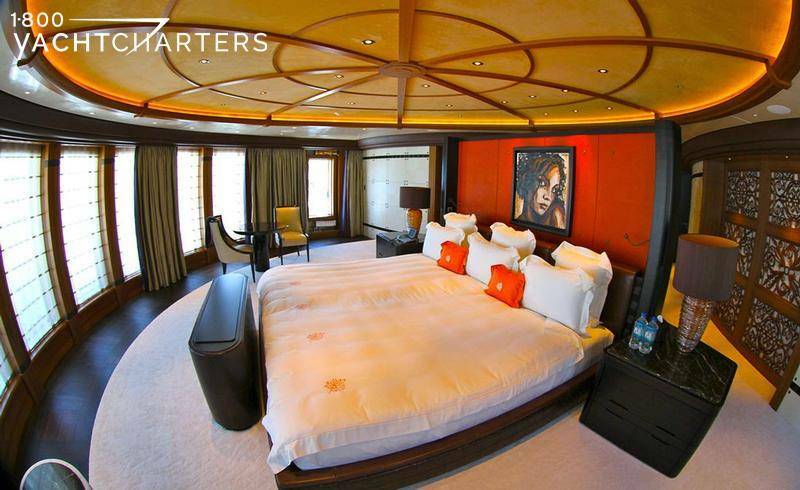 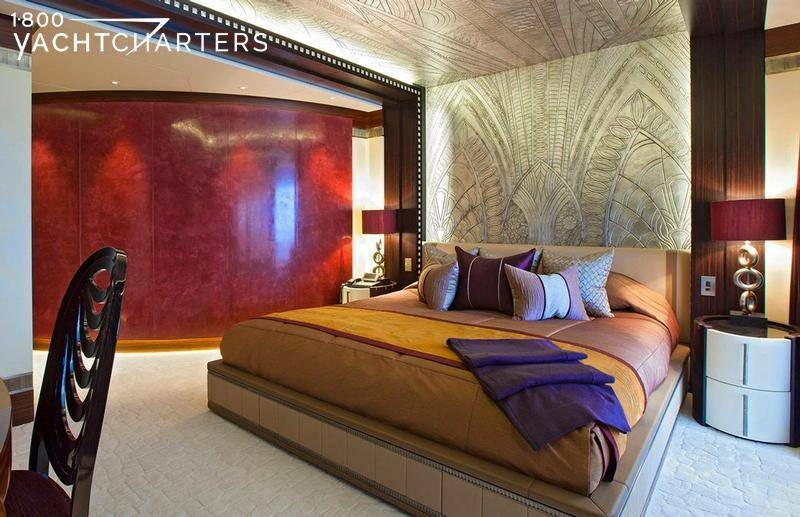 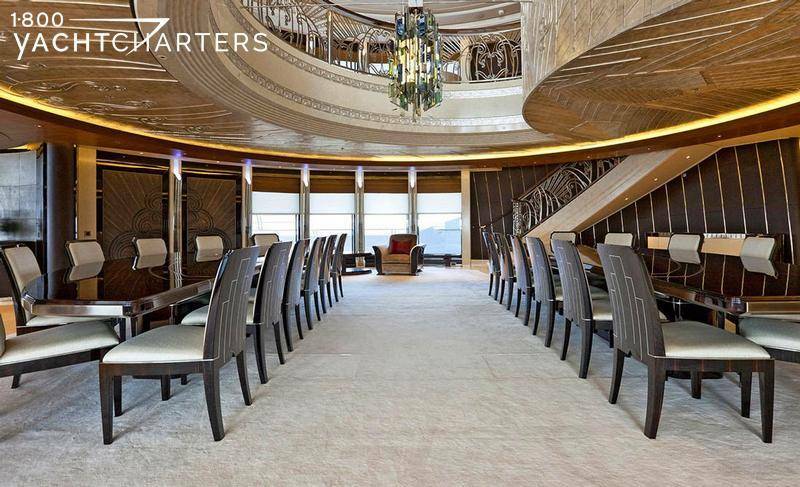 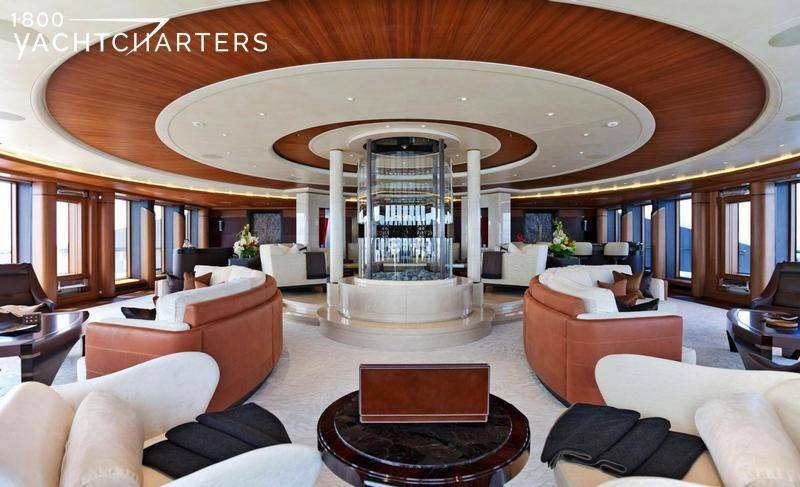 Charters aboard the elegant Serene, one of the largest yachts in the world, are vacations that give back to the ocean and to the needy in areas of charter through donations made by 1-800 Yacht Charters, given in the name of the Charterer. 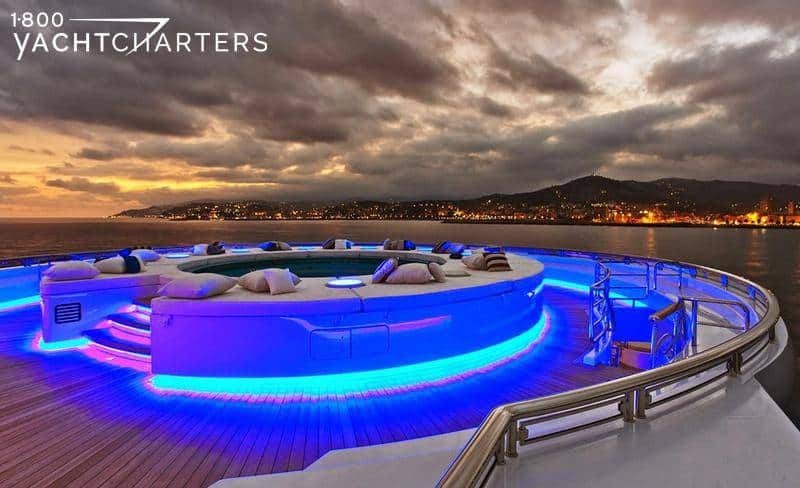 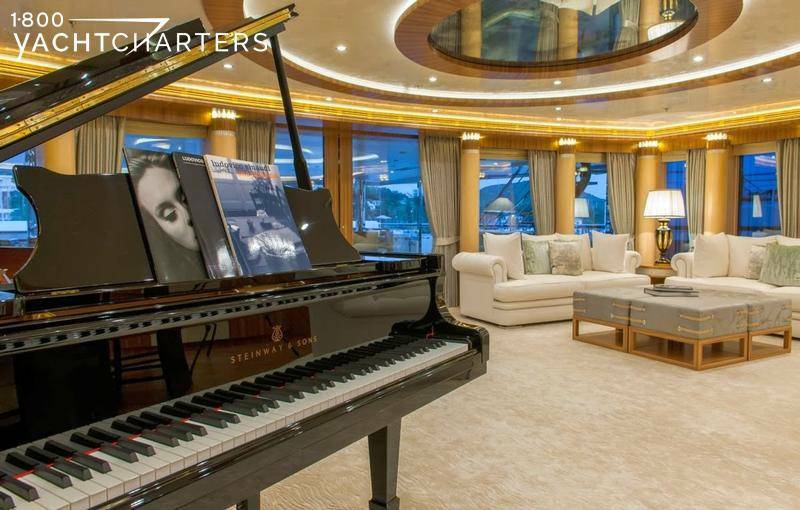 Charterers of this impressive yacht also enjoy such special events as the Cannes Film Festival and the Monaco Grand Prix. 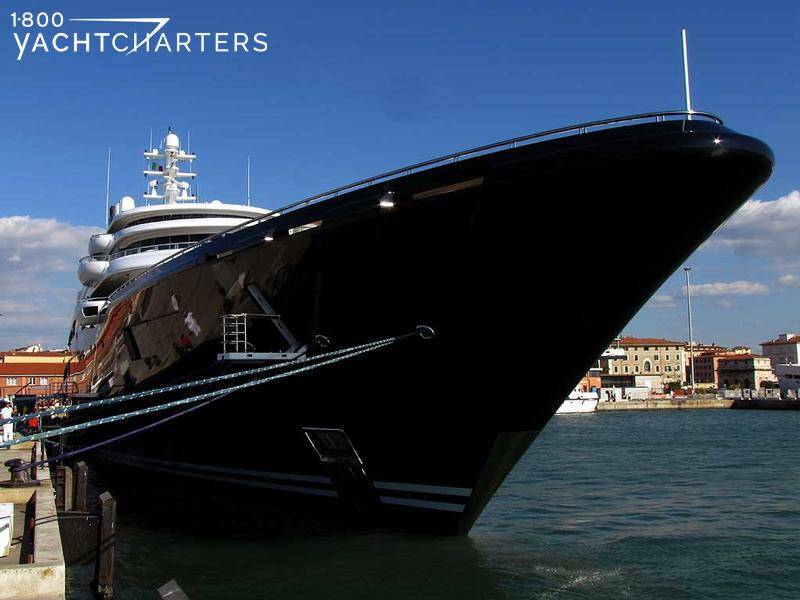 Other yachts for hire with the ability to carry more than 12 guests are motor yacht CHRISTINA O (36 guests), motor yacht SHERAKHAN (24 guests), and motor yacht LAUREN L (40 passengers).